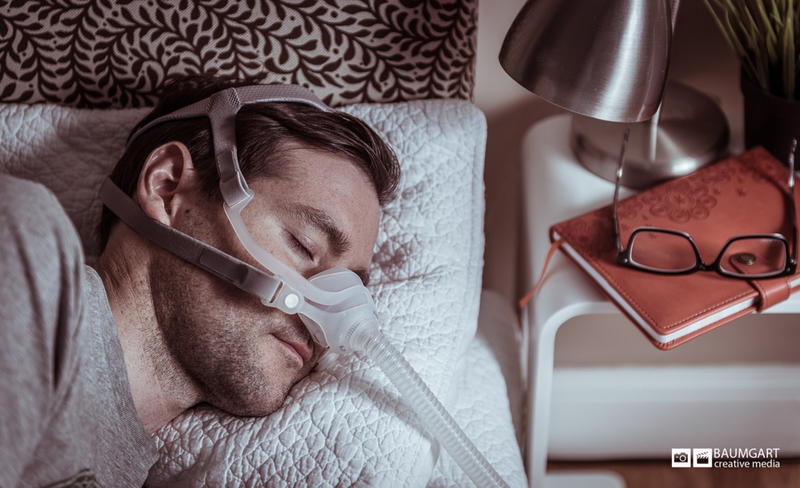 Besides the fact that he had to wear a CPAP mask over his face for a couple hours, it was a pretty relaxing photo shoot for our model, Patrick. 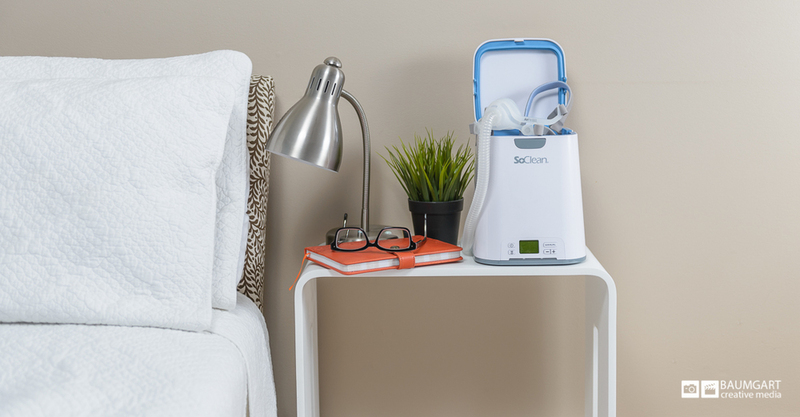 We were making some lifestyle product photos for the SoClean CPAP sanitizer from Better Rest Solutions. They were looking for some fresh photos for their newly launched website, Amazon store, and other marketing material. We didn't have a real bed in our studio, so we faked it with a chair, ottoman, and some pillows and blankets. 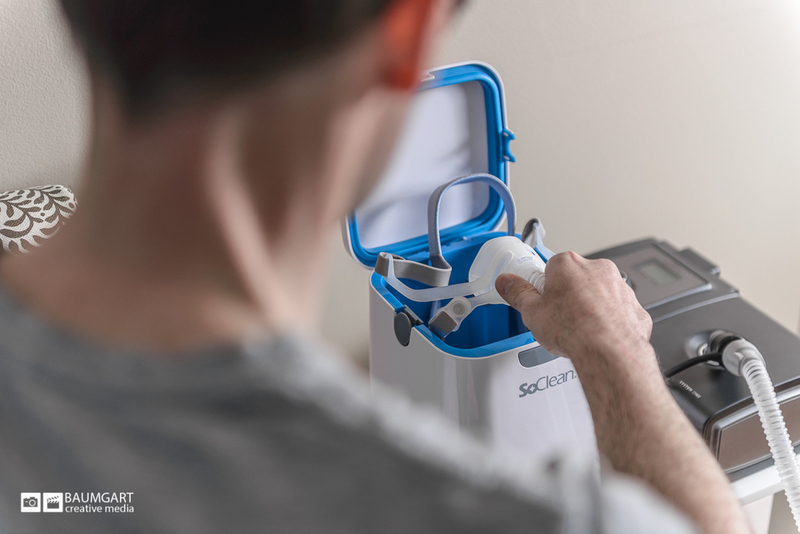 Check out their new website at www.betterrestsolutions.com to see some more of our work.